Africa is at a critical moment in the pursuit of Universal Health Coverage (UHC). While most countries recognize the importance of “health for all,” funding constraints present a very real challenge. In low- and middle-income countries, increasing funding may be necessary, but more funding alone may not be feasible or sufficient. Sustainable financing for UHC relies on making efficient use of existing, scarce funds to get more value in terms of access to services, quality, and financial protection. Attention is beginning to shift toward how available funds can be maximized to purchase quality health care for all people as well as protect them from financial hardship. Strategic purchasing can play a crucial role in bridging the gap in resources for health in Africa. The Strategic Purchasing Africa Resource Center (SPARC) is a new resource hub aimed at strengthening strategic purchasing capacity in Sub-Saharan Africa by connecting existing regional expertise and matching it with country demand to make better use of resources. 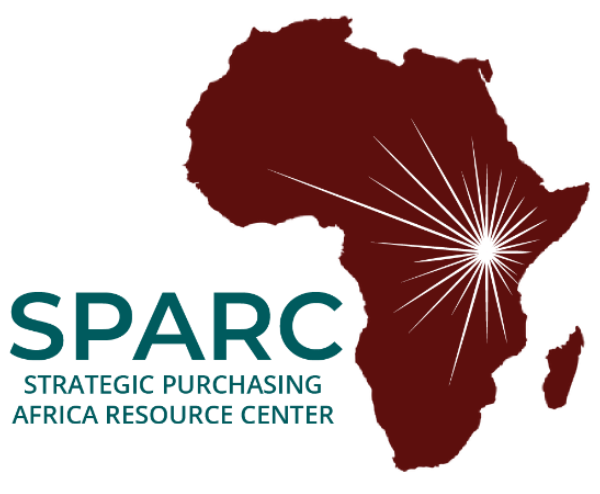 With an aim to become the go-to resource center on strategic purchasing in Sub Saharan Africa, SPARC seeks to match countries with home-grown, tailored options that cater to their specific country context. As SPARC begins its journey with countries in sub-Saharan Africa, an official launch event is being planned to formally position SPARC at the front line of health financing in Africa and introduce it as a resource hub seeking to bring together a network of experts, global knowledge and practical experience on strategic purchasing. Amref Health Africa and Results for Development invite you to attend the official launch of SPARC at the Africa Health Agenda International Conference (AHAIC 2019) on 7 March 2019, in Kigali, Rwanda. We hope you will join us for an interactive panel discussion where experts from the region will offer perspectives on how best countries can implement strategic purchasing practices, while simultaneously engage participants to understand their specific needs as implementers and partners. If you have not already made plans to attend AHAIC 2019, please be sure to register, here.